The bride made a dramatic entry for the pheras in a regal chariot pulled by her brothers. Check out the photos and other details of Nikita and Pranay's grand wedding in Jaipur. 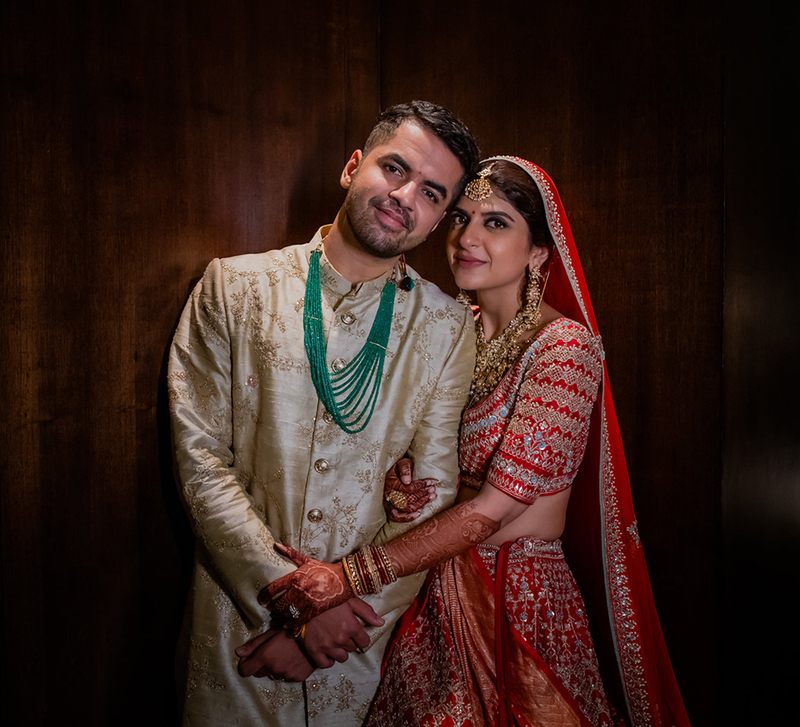 The historic environs of the City Palace in the Pink City of Jaipur hosted the wedding celebrations of Nikita and Pranay with full pomp and splendor. The regal affair was planned by WeddingSutra Favourite - 7X-Weddings. 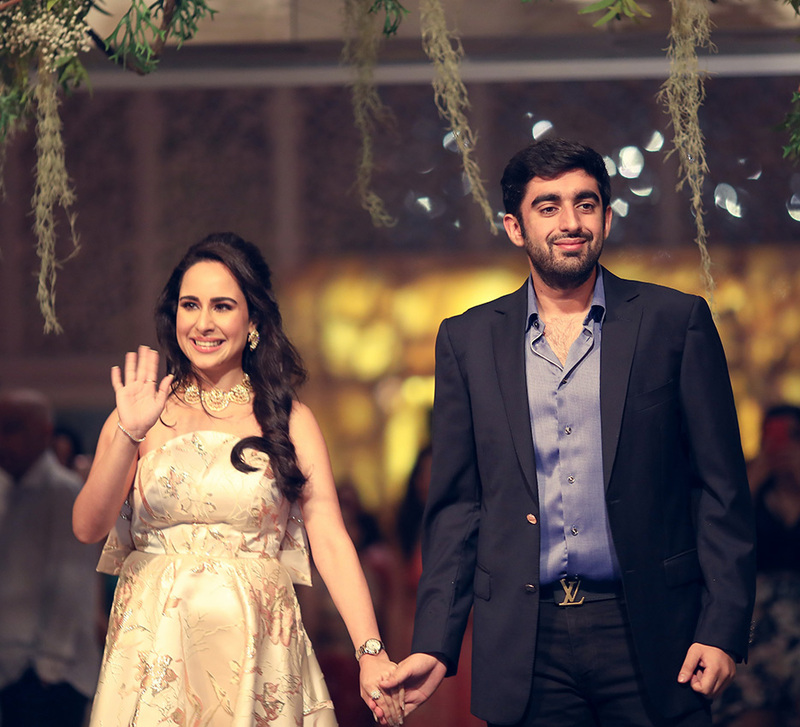 Here, bride Nikita shares some highlights of the extravaganza. “We traveled all over the country and abroad before deciding our wedding venue. From Pune to Ahmedabad, Mahabaleshwar to Bekal, Bahrain to Dubai and Thailand to Sri Lanka - we explored them all. We had just finished visiting the venue options in Mahabaleshwar and on our way back we discussed Jaipur as a possible option and there it was! After a flight by both sets of parents to the Pink City, the decision was made and Jaipur it was!" After welcoming both sides of the family at City Palace in Jaipur, the couple hosted a sangeet that was the most awaited event. The purple and blue color palette used for the decor looked perfect. Silver ball hangings and white branches covering the entire pathway made for a dreamy setting that mesmerized the guests. The flower vases and lots of decorative mirrors added sparkling charm to the environs. The beautifully lit stage with floral arrangements illuminated every performance that took place making it a pleasing experience for all. The next day started with a 'Casino Carnival'-themed lunch. With blue, pink and white floral arrangements in the garden area where the lunch was hosted, the venue looked like a dream! The photo booths were the main highlights for the guests as each moment captured reflected true joy. The youngsters that welcomed the bride and groom also posed against the photo backdrop to cherish the day even after the celebrations were over. 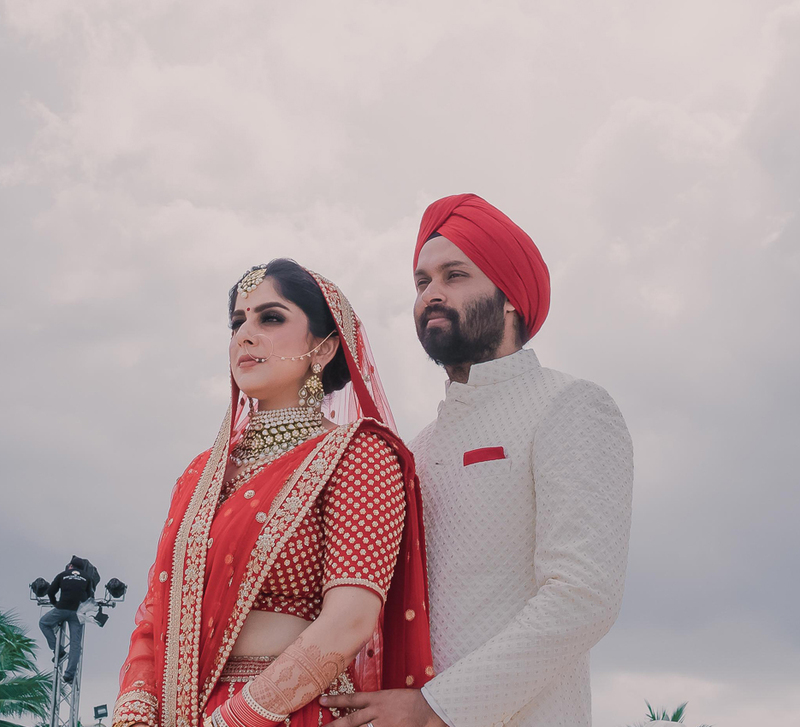 The wedding ceremony started with a baraat procession where the groom made a grand entry along with men holding fire torches and accompanied by horses, elephants and canon camels. Pranay looked like an erstwhile Maharaja as some forty dancers welcomed him to the venue. Nikita’s arrival for the garlanding ceremony was equally mesmerizing as she entered in a red and white dome-shaped floral chariot pulled by her brothers. This was the biggest highlight of the evening and made for an unforgettable bridal entry. Gold and red were the dominant colors as the decor was designed around this palette. 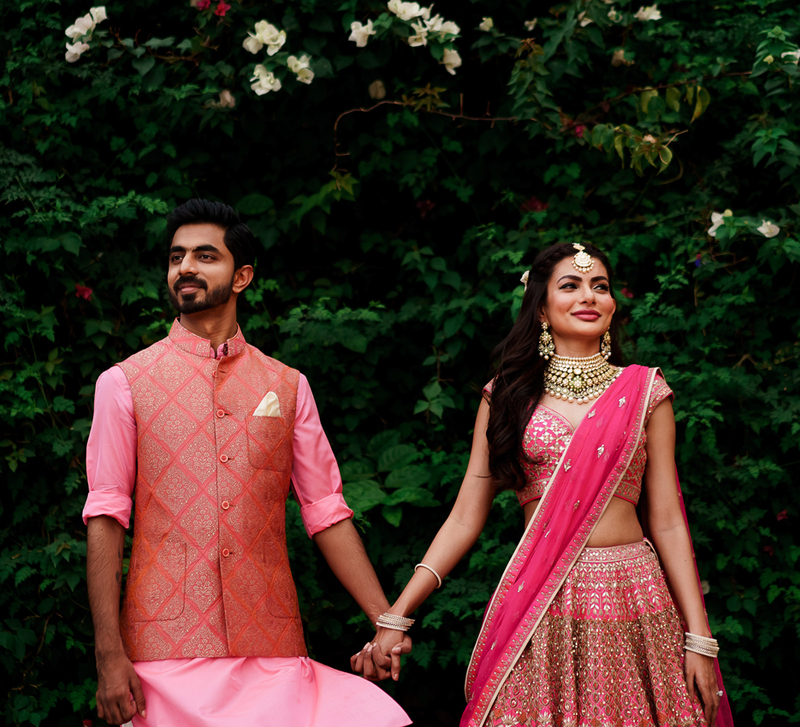 Nikita looked ethereal in her pink and golden Dolly J lehenga while her groom complemented her in a dazzling sherwani. “Never take the entire load of the wedding upon yourselves. Leave everything on the wedding planner and your family. Always remember that those two-three days of the wedding events are yours to enjoy so make sure you live it fully with your loved ones."